Deadline Hollywood is reporting that Universal has signed the Feig/Apatow team on to make another comedy (“Bridesmaids” is still raking it in), this one reportedly starring Jon Hamm and Melissa McCarthy. Melissa McCarthy? While she may not yet be a household name, she’s fast getting there; she was the brash, foul-mouthed showstopper in “Bridesmaids,” who spent the whole film chewing up the scenery with a gusto that the rest of the cast couldn’t keep up with. 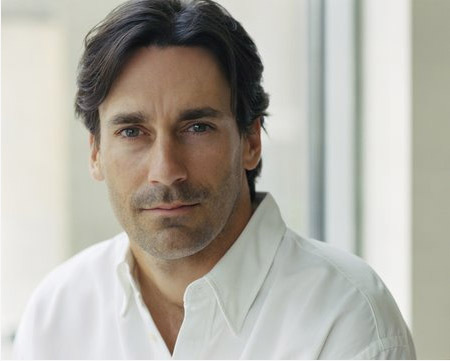 Hamm had a bit part in “Bridesmaids” as well (as the horrid boyfriend of star Kristen Wiig), but he is best known for his career-making role as Don Draper on the AMC series “Mad Men.” If this project comes to fruition, it’ll be a joy to watch both of them flex their comedy muscles in the same frame.